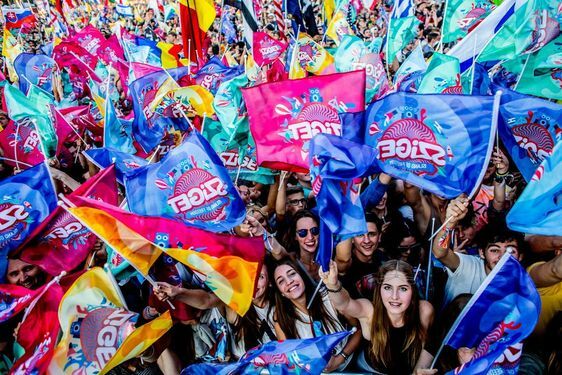 One of the largest music festivals in Europe celebrated a special anniversary last year, so this will be the 26th time when Hajógyári-sziget transforms into the Island of Freedom for a week in August, offering more than 1000 programs for visitors including concerts, contemporary circus, theatre and boat cruises. Especially strong line-up in 2018! In 2011 the festival has been voted the best of big European festivals at a competition organized by Yourope and Virtual Festivals Europe. In 1993 it began as a simple one-week camp for students providing a possibility for young people to let off some steam during the summer break, but since then it has evolved into the most prestigious festival in Hungary, not only focusing on music but also hosting many genres from theatre, dance, juggling and contemporary circus to plastic arts, developping entertainment and culture promotion to the highest level. Its popularity is unwavering among tourists thanks to its various and colorful programs, strong music line-up and the nice setting of the Danube bank. This year we are especially excited because among the most anticipated performers there are A-list stars like Lana del Rey, Kendrick Lamar, Arctic Monkeys, The War on Drugs, La Femme, Liam Gallagher, Mumford & Sons, Dua Lipa, Gogol Bordello, Lykke Li, Shawn Mendes or the Gorillaz.